Searching for a new job is inevitable. Whether you find yourself unexpectedly unemployed or are planning to make a career change, job hunts require time and effort. 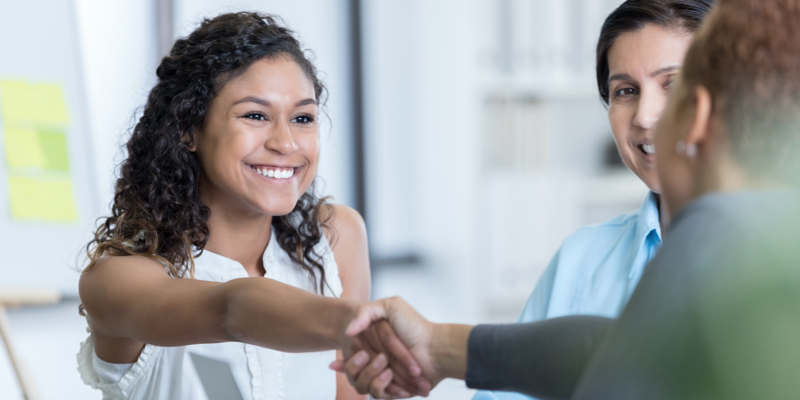 Millennials are especially known for having high job turnover rates, so learning how to carefully evaluate an offer could be the difference between a fulfilling career or yet another job search. Gallup states that 21% of millennials have already changed jobs in the past year (more than 3x any other age group). Similarly, 43% of millennials plan to leave their current job within two years, according to Deloitte. In the haste of trying to leave an existing job, it can be tempting to dive right into the next one without carefully reviewing your offers first. Yet doing this could mean you miss the opportunity to negotiate something better or make the best decision for your future. Read on to learn how to evaluate your benefits, or jump to our infographic below. Most of us head straight to the compensation section of the offer letter. While salary is important, there are many other benefits that add value to the position such as opportunities for advancement and company culture, among others. If you’re passionate about your community, search for companies that offer paid time off for volunteering (known as VTO) or charitable donation matching to support the causes you care about. Many companies have community days, donation drives, and nonprofits that they support so you can feel good about the work you’re doing both in and out of the office. Financial security is the biggest concern for many job seekers. If you have student loan debt, you may want to search for companies that offer loan assistance. Currently, only 4% of employers offer student loan repayment but the trend is expected to grow for the highly desirable benefit. We conducted a survey that revealed 60% of people would give up an existing benefit in exchange for student loan forgiveness. The top benefits on the chopping block were work from home flexibility at 23% and 401K matching at 15%. Talk with your potential employer to see if there is room to negotiate your benefits to fit your needs. So after you look at the salary, be sure to assess your current finances and financial goals to help determine if your new position will be the right fit, both personally and financially. Take a look at your current income, savings, expenses, and debt to evaluate your financial situation. Then consider your future goals such as saving for an emergency fund, making retirement contributions, building your credit and purchasing large items like a house or car. Finally, imagine your dream job, responsibilities, and lifestyle. Will this job help you reach those goals? Don’t be afraid to carefully review your offer and ask for more time to decide if needed. The job market is very different now than it was a few years ago and good employees can be hard to find. You don’t have to worry about the “take-it-or-leave-it” mentality of the recession years so much anymore. Nowadays, you get to decide if the benefits of this job truly outweigh the costs. Here’s an infographic to help you do it. This infographic explains the financial, personal and professional aspects of a job offer that every millennial should consider before accepting or declining a position.